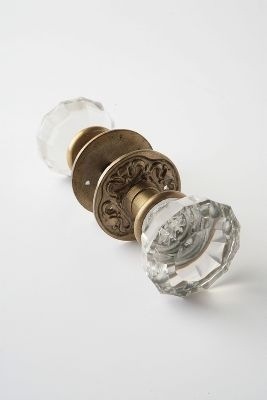 I swoon over these door knobs. 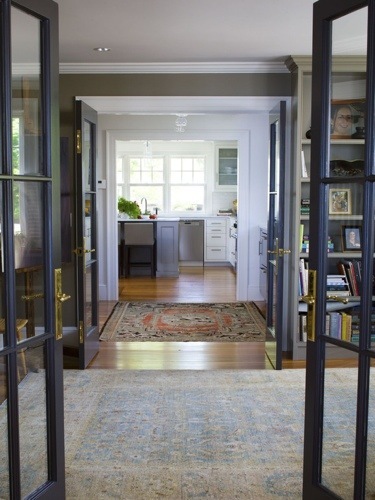 I want them (probably not these exact ones because the reviews are heinous) on every interior door of my house. 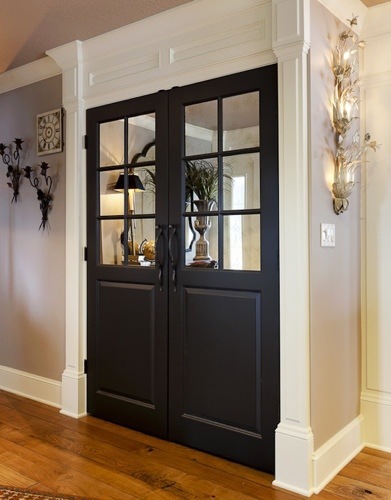 How do you feel about black interior doors? I even love the black stairs. The brass hardware! I’m on the brass train; I know I can’t believe it either. 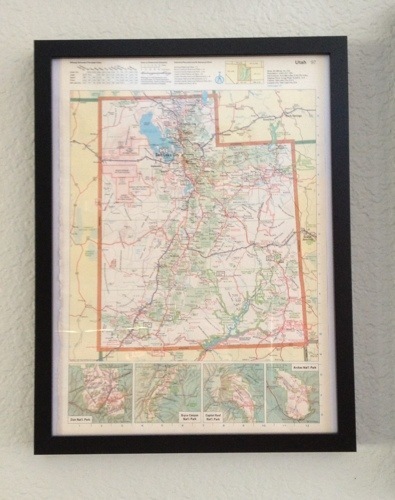 I love maps and wanted to incorporate them into the gallery wall. They needed to have meaning and I wanted two. The vintage section of Etsy came to my rescue cuing up old road atlases. I found two; copyrighted in the years of Joey and mine’s birth. 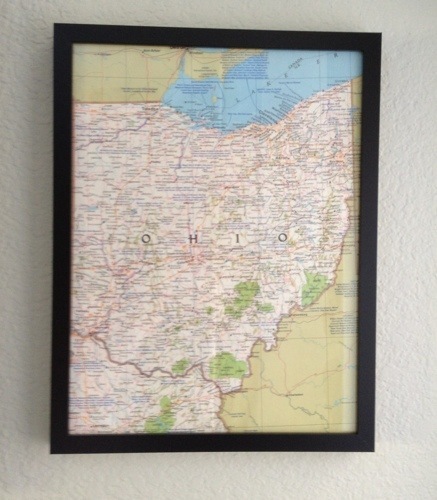 I ripped out the states we were born in and BAM! 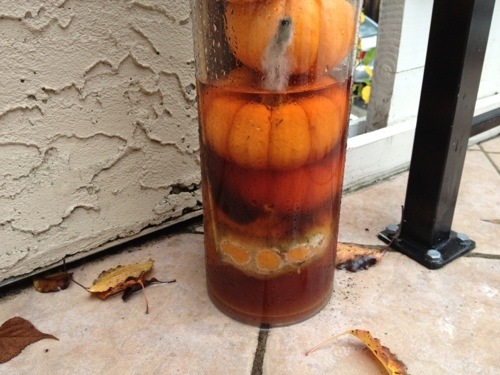 One of the pumpkins on the bottom of my fall mantle centerpiece started to get moldy. Like a genius I put it outside and thought to myself I’ll deal with that tomorrow. Five rain filled days later this marinating petri dish of primordial ooze awaits me. Doesn’t look so bad from that distance so I took a close up for you. 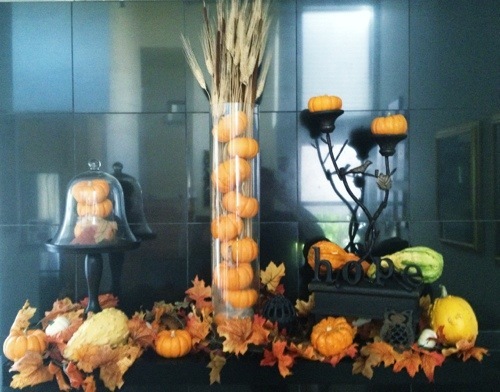 My fall mantle is up. Figured I should show it to you since it’s almost time for a Christmas mantle. Forgive the highly reflective tile. Fall colored leaf/mini pumpkin garlands purchased last year at Michael’s for $10. Small wood table and cheese dome are Pottery Barn purchases from years ago. The tall cylindric glass vase is Joey’s moms. The bird candlestick was a gift from my mom while she was visiting for Leo’s birthday. The black twine holder was found at the Rose Bowl Flea Market for $10 a couple years back. The Hope was a Target find long before it became synonymous with Obama’s 2008 election campaign. The scarecrow was given to Leo as a free gift with purchase at a garage sale. Wtf, right?! Haha. 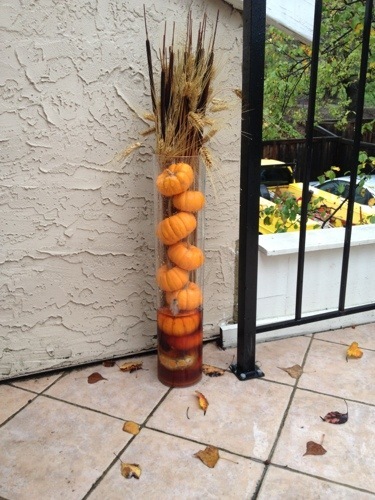 The pumpkins, gourds and wheat were purchased at Safeway for $20. I feel like it needs a little something else but can’t put my finger on it. The first photo is what you put on a blog; this one is reality. 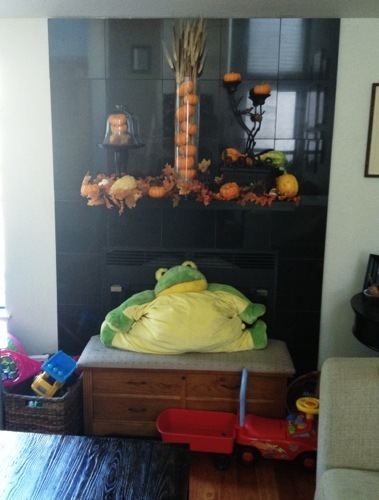 Toys and fire place blocker. Yup, I’m the mom of a one year old. Update: I noticed that the scarecrow mentioned is strangely AWOL. No idea where it went. It took me almost four months to complete the gallery wall; school and work have me busier than normal. You can see the slow progress here and here. 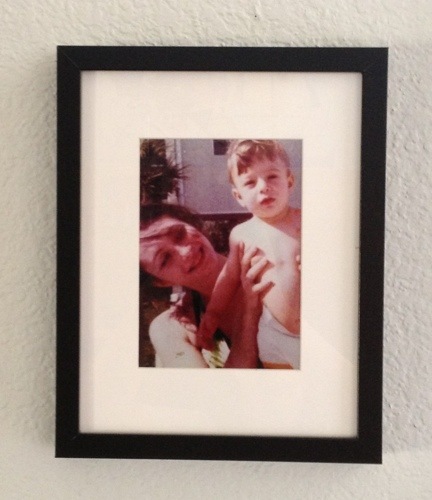 Now that Leo is one, I chose to use photos of me and Joey when we were about the same age. Me and my mom (Bird is in mama’s belly!). 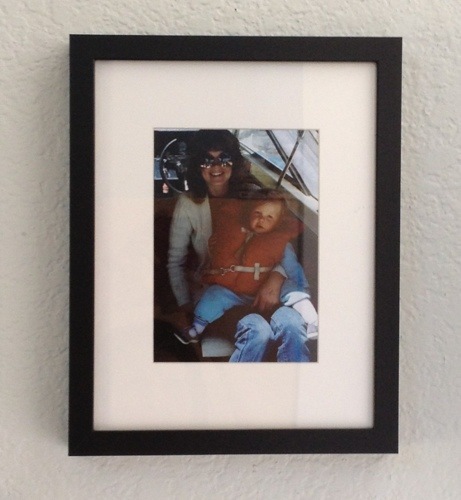 How awesome is using old family photos?! 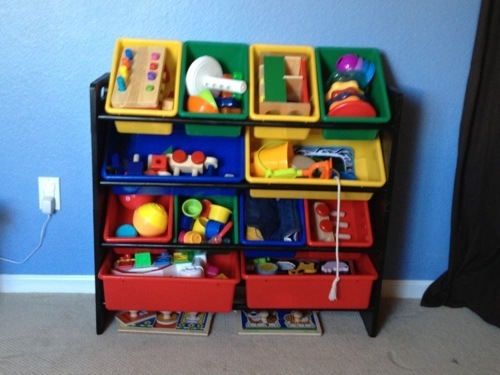 We had originally been using a rolling beverage cart (garage sale find) as toy storage in Leo’s nursery. I didn’t like the amount of floor space it was taking up in addition to it being the wrong color. I didn’t want to paint it because I love the original color. 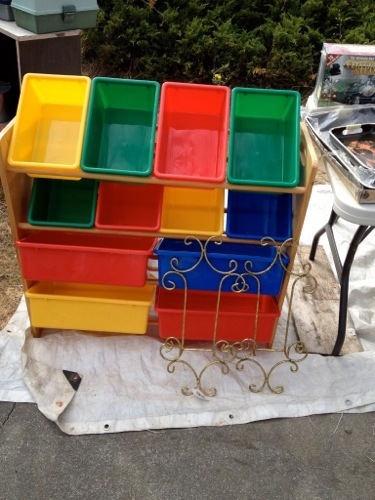 A couple of weeks ago my mom, Leo and I were heading home from shopping and saw a yard sale. I spotted this bad boy and hurriedly sent this picture to Joey. Score at $20 (Thanks Gigi!) seeing as I found this one on EBay for $95. AND it fits all four of my goals! A can of spray paint and it now matches the rest of the furniture. I want to spray paint the red buckets and make them orange to fit in with the color scheme. Joey has given that idea the thumbs down but I’m still considering it. Did not “style” the shelf as Leo is a destroyer and toys are cute without assistance. I love a quick and easy project! I have talked about how I am not fan of naked walls and the crib wall in Leo’s nursery has a huge naked spot. We crusied over to Michael’s, picked up some crafty stuff for another project and snagged a HUGE canvas. 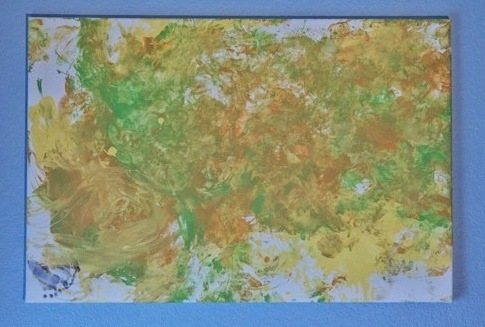 I poured the paint from his shelves into different containers, let him dip his hands in it and crawl around on the canvas. Grasping his hands together and swinging his arms up and down. He does that when excited. Not only is Sharky a photo bomber but she is also an art bomber! Poor Sharky is also missing a chunk or hair and the surrounding area is covered in paint. Leo was trying to pet and paint at the same time. We talked about focusing on one thing at a time, I am sure you know how that conversation went. Not sure that I am completely in love with the end result but am willing to live with it for awhile and see. How do you like Leo’s smudged footprint a.k.a. his signature? Note: This project was done in early August. I forgot about this post. I am totally with the program.